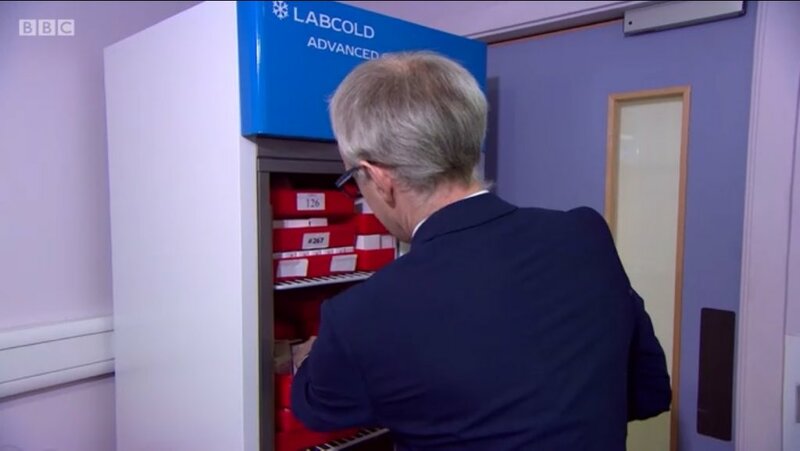 Did you see the Advanced Labcold Refrigerator on BBC news last night? The fridge was shown as part of a BBC news report on a new drug for Huntingdon’s at University College Hospital London that is producing good results. 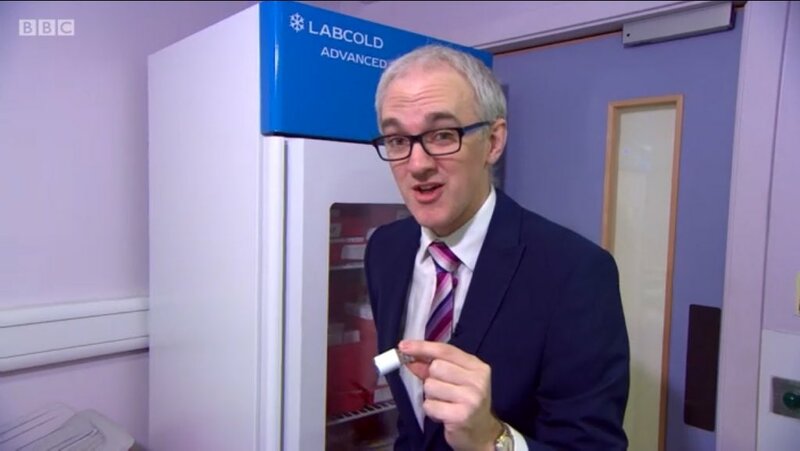 The drug it is being kept in one of our Advanced Pharmacy refrigerators which is designed to store a large amount of product safely and securely. It was great to see our fridge in situ and not just having a supporting role. 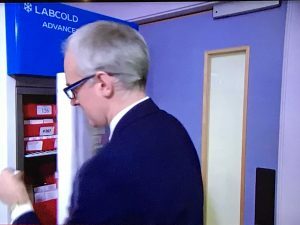 Big thanks to Andrew and Fiona for the images.